Mercy can be defined as compassion or forgiveness shown towards someone whom has done us an injustice and it is within one's power to punish or harm. The context of God’s mercy is God’s covenantal love. Divine Mercy is where injustices are overlooked as God’s steadfast love sustains, and pardons transgressions of the covenant relationship. However, there is a caveat. Mercy can never be reduced to mere forgiveness. If a person was to be forgiven without addressing the injustice of their deeds, that individual would be no better off. 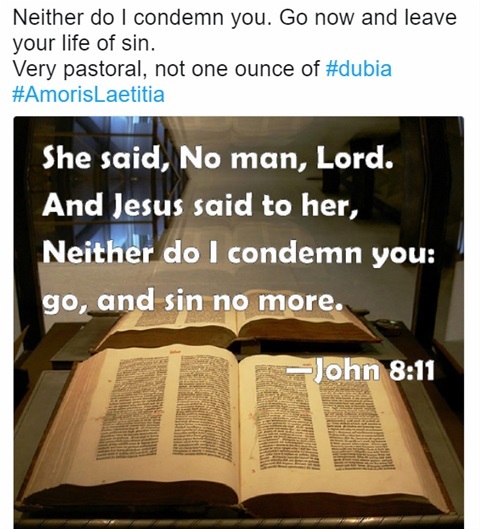 When Jesus confronted with the adulterous woman he tells her two things (1) she is not condemned (2) that she is to leave her life of sin (John 8:11). If Jesus had led the woman caught in adultery to believe sin does not matter, she would never have been able to receive life from him. Similarly, Jesus confronts the Samaritan woman at the well (http://www.johnthebaptistmoora.com/346443107/4531752/posting/what-s-the-right-thing-to-do-to-hook-up-with-you) so she may have life from him: “If you knew the gift of God and who it is that asks you for a drink, you would have asked him and he would have given you living water” (John 4:10). The unforgotten aspects of God’s Mercy are justice and contrition. Contrition, or the firm amendment to change one’s life is at the heart of mercy. Contrition is the gateway to mercy. Without contrition, there is no absolution and the divine love that seeks to pardon (and to restore to life), is made ineffective. In addition to contrition we are called to make reparation for our injustices as best we can. As reparation for sin is impossible for human beings (only God can repair the injustice done to God), Sister Faustina rightly praises the Divine Mercy calling it incomprehensible. There is an infinite abyss between the All Holy God and us, sinners. Divine Mercy refers to God overlooking this abyss –our unworthiness of God’s love, and yet God still calls us to share in his life at the cost of his own Sons’ life. What God has done is unfathomable. God’s mercy and goodness is unfathomable. Although we are not just in the sight of God, God doesn’t weigh up our worthiness. Righteousness is given through faith (Rom 3:21) and God gives to those who are willing to receive i.e., to those who want to be faithful to the New Covenant sealed in the Blood of Jesus. Humble your heart before the Divine Mercy. Seek forgiveness through contrition and sacramental confession, strive for greater fidelity, to make right your wrongs, and to do good works. Above all, trust in the unfathomable mercy of God.